James Snell criticises the unrealistic media portrayals of British soldiers killed in action. A couple of years ago, I found myself traversing battlefields of the First World War with a coach load of grammar school boys. They were hardly neutral in their outlook. The fallen British were seen in an uncritical (and slightly nauseating) light. Our group were violently partisan, and likely to engage in crude ‘casualty-based’ calculus. I should know; I was one of them. Our teachers tried very hard to kill the propagandistic nationalism which burned rife through our ranks, but when we were taken to a German cemetery, some simply complained. The blinkered way in which my contemporaries saw the Great War did not shock me at the time, as I was as emotionally immature as the others. Looking back on it however, even through the lens of romanticised memory, I am surprised by the level of blind patriotism which we exhibited, and the lack of empathy felt towards the German dead. It really was a ‘them and us’ mentality to the boys on that trip, and there was little point in any guide attempting to elicit sympathy for the ‘other side’. The Canadian guide especially was a bundle of inane smiling and absurd national pride. Others failed to relate to us, or just bored us with cold, emotionless numbers. Whilst immersed in the study of a human tragedy, it is all too easy to simply let it wash over you. It says something, that after nearly two weeks of constant activity in Flanders, my enduring memory is that of getting Belgian chips and chocolate on a break. This is not to say that the teachers running the jaunt did not do a superb job: but the fact is that British children are hard to instruct in internationalism, as our History syllabus consists of a ‘two World Wars and one World Cup’ roll-call of ‘best bits’. …our History syllabus consists of a ‘two World Wars and one World Cup’ roll-call of ‘best bits’. It didn’t help that we had recently been fed a particularly self-hating course on the British Empire. To boys that age, criticising our history made no sense – as we had been taught in an excessively pro-British manner from the outset. In reaction to this aberration of the normal order, some of us became proto-imperialists, further deepening our weirdly unconditional love of this country. Well-trodden paths led us to what we wanted to see when our group traipsed around British cemeteries. Boy soldiers. VC winners. The token unnamed victim. Undoubtedly heroes all. German graveyards were starker – blacker. 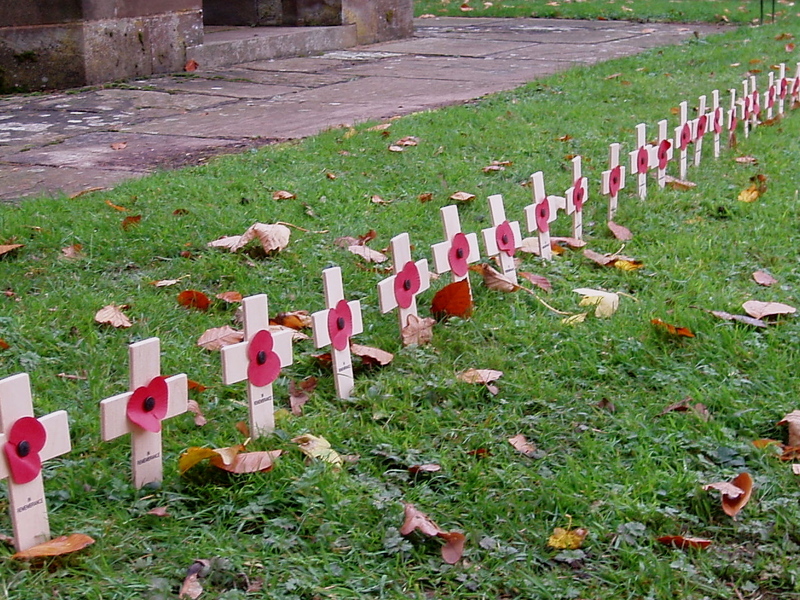 With the economical sharing of memorial crosses, the whole feel was that of grim depersonalisation. This was compounded by the mass graves, and the minimalist memorials. Their war was just brutal and fierce; there was no happy ending. In the Commonwealth War Graves, the grass is neat, and the idea is to imitate an English country garden. Whilst this is idiocy, and reflects well the class-ignorance of post-War planners, it does live up to the childish assumption of ‘Our Glorious Dead’. We were told the story of Kipling’s part in the choice of inscription for unknown warriors, but not the excruciating fate of his son Jack (which spurred him on in this task). Today, when we witness the death in foreign fields of our fighting men, we are conflicted. The media has fed us the narrative of political corruption and elitism with which we are supposed to quantify the wars in which the soldiers perish. But we are also instructed from birth that all those who die in battle are heroes. 24/7 rolling news coverage has helped this flawed case immensely, as now all of the corpse’s friends, family, commanding officers and milkmen need to make a gushing tribute. As a child, I wondered why none of the less desirable ‘squaddies’ met their ends in the dusts of Iraq, and now I know. Once they die, there is an official line to be toed. It was Margaret Thatcher’s idea to ‘repatriate’ the war dead. This emphasised the popular reaction to the Falklands War, and allowed the Iron Lady and her army chiefs to declare that they were ‘bringing our men home’ to tearful audiences. In larger-scale conflicts, the sheer number of casualties deterred any attempt to organise them into anything other than neat rows. But now, with the much diminished casualty rates of modern wars in Iraq and Afghanistan, as well as improvements in transportation, we can all experience the tearful pomp which surrounds these events. 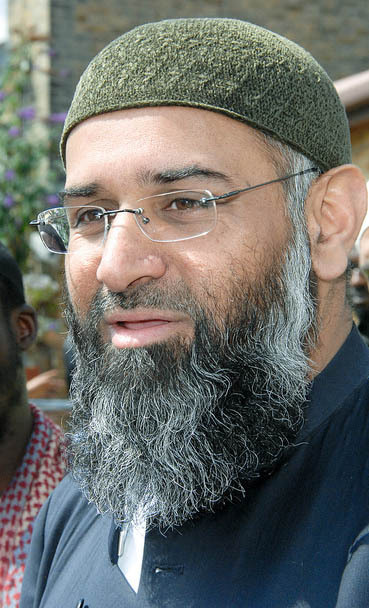 Anjem Choudary was spokesperson for Islam4UK before the group’s proscription. And we care very much if there is a threat to our displays of sorrow. Islam4UK, an undoubtedly vile organisation, was denied its right to protest in Wootton Bassett during some service or procession because disrupting the ceremony was seen as beyond the pale. Whilst I am no fan of extremist Islam, I do not like to see fundamental rights curtailed for some silly sentimentality. All of this only helped the fascists in any case, as they just used it to gain more publicity and draw more support. This culture of posthumous apotheosis is one that has reached the limits of its extent. When WPC Fiona Bone died in a brutal grenade attack, she was described in impossibly glowing terms by her peers. Whilst her death was horrific, I can’t help but feel that her life was hardly as perfect as it was made out to be. In times of war such as these, there exists a morbid national fetish which disfigures our nation and does not reflect reality. There are genuine mourners, and their grief is not helped by the crocodile tears of our leaders. We are all trapped in the paradox of hating the war, but loving its participants. This unhealthy obsession with the dead has bolstered a nastily nationalistic view of the world, and continues the unhelpful closed-mindedness of this country. All must be heroes. All were ‘exemplary soldiers’. All must be funny and hard-working. The mythologising of the dead is in poor taste, and only serves as a continuation of schoolboy interpretations of the world around us, as well as the men and women who inhabit it.